It’s hard to say more than “this is bad for ASCAP and BMI” at this point in the game. Given how each PRO evolved, this may well be a very good thing: the “old model” was akin to the wolf and sheepdog cartoon, competing all day long then partying all night. BMI was started by the broadcast industry to get around live performers, ASCAP was started by artists and publishers aiming to get in on the action and not allow BMI an end-run. In many respects this mirrored the union/big-business dichotomy in other industries of the era. 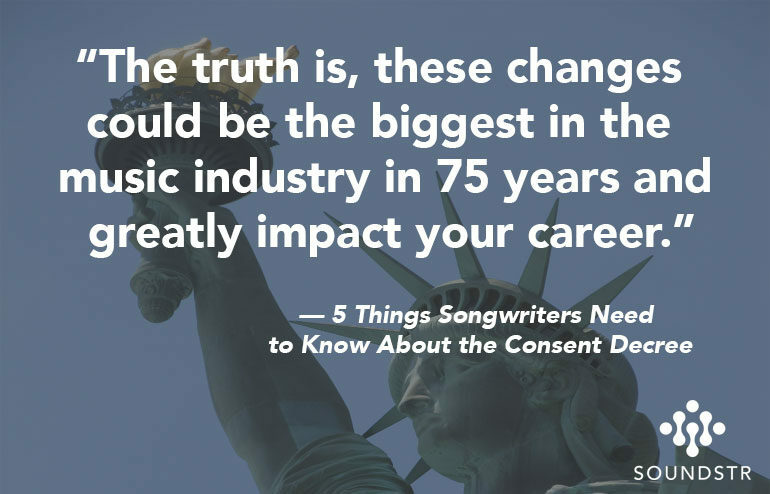 Today unions (and record labels) have much less power, while broadcasters and consumer electronics companies seem to dictate terms they prefer. Needless to say, this causes much distress. Still it’s generally not good for any particular interest to control something as slippery, and uncontrolled as music and songs. All in all, Google’s unilateral choices to pay artists for YouTube are much maligned, but far better than Napster and way more realistic. 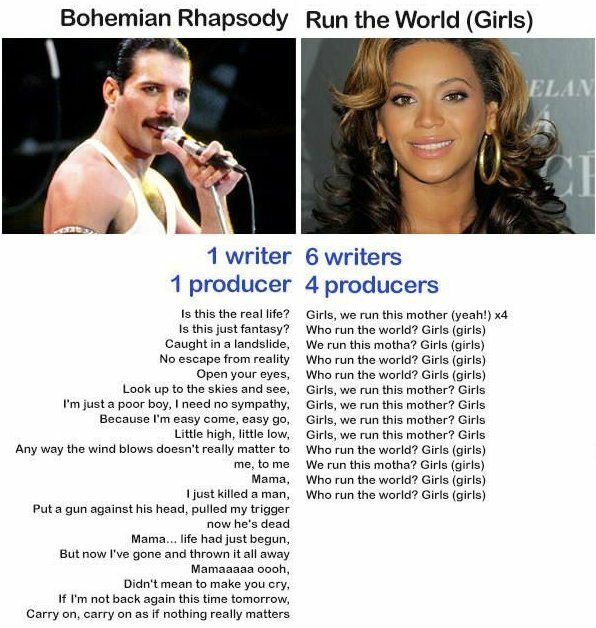 Historically speaking, no one ever controlled “performance” rights to a song. One learned it, played it, and stiffed the writers before the turn of the last century. Copyrights are a very new and fragile thing. Nothing is set in stone, nor are our norms as significant as a legacy of centuries of tune and song sharing. So what does a good deal look like and how do we get there? As long as everyone starts by acknowledging a musicians work is worth more than zero, be they songwriter or performer, we’re making headway (at least in US where performers have been perennially shafted). Starting there, and looking at this proposal things aren’t so grim. Partial withdrawal is a hedge against certain specific dangers to the music marketplace — double dealing, different rates, payola are examples of such risks we live with now. This proposal states “in or out, pick one, no backsies”. This kind of devastates the old Nashville model, where the price of a license was the estimated size of your wallet (or credit card limit). That was never great for business, just stars. 100% license is similarly double-edged; it’s bad for the old model of tight control, but pretty terrific for artists and writers. Extending performance rights is an undeniable benefit as well. Together, these changes represent a broader, more level market with many more players. If one has a song, one can sell the song. Control must be specifically granted, not preemptively asserted in one’s rookie deal. Will the new rules be abused? Of course! The issue is whether it’s more or less abuse than we have today. I would argue that a system disempowering the Powers That Be, and empowering artists is a promising start. It seems to me the fear is primarily over who the beneficiaries may be. Legislatively selected winners like BMI and ASCAP will definitely not benefit, but the singular SoundExchange registry certainly will. In the end the question is who gets paid how much. It seems designed to channel more dollars to more artists, and fewer to middlemen. It favors streamers and mass audience aggregators, but also makes it easier for individual creatives to license music legitimately. This may lead to better flat licenses with brands, and new kinds of deals, that bypass Google/YouTube and channel revenue directly to artists — absent cuts for PROs, labels, and other old tyme players, rates for stars start looking much better. One other certainty: Control of one’s publishing is more important than ever, with these changes. Now you must license recordings you own to labels, rather than vice versa, when you’re paying the bill. You should avoid letting labels be 1% pimps, and cut simple, flat deals for P&D or other uses (including exclusive representation) on a project by project basis. If it is adopted it hurts middlemen — efficient administrators and agents will be golden, but good old boys will have to change, and get by on a lot less than they’re used to. Fortunately the industry has many players who can pull this off, either way it goes. We’re better today than a few years ago. Thank you for the great response, Dave. Always appreciate your perspective. It will be very interesting to see how the market shifts as these rules are implemented. Regardless if it’s “out with the old, in with the new” or even just the modernization of the an old model, the goal should be to increase the value of music. Technology will only continue to provide resources that offer more transparency, and hopefully most will use these powers for good over evil. Regardless, it’s going to be a wild ride! As a small time musician I’m trying to wrap my head around this news. Alas, the legal jargon is going over my head a bit. Say I write a song, record it, and by some miracle it becomes popular. Or perhaps it’s used in a film. I am member of ASCAP but I don’t ever expect to be on a record label. How am I directly affected? The practical effect of the DOJ decision to require “100% licenses” instead of the legacy “fractional licensing” is form over substance. The fee rates charged by ASCAP and BMI to (and then paid by) the digital media services at the heart of the controversy are identical. The differences arise internally to the ASCAP and BMI methods of distributing the fees back out to its affiliated song owners (the publishers) and songwriters. The ruling means that each agency that issues a “100% license” will now need to arrange payment to any co-owner and co-writer of a song who is not otherwise affiliated with the licensing agency. Each agency takes pride in its proprietary processes and is not happy about the new task or what it might reveal about its operations. Yet, there is no question that the legacy system of “fractional licensing” creates duplicative administrative activity and, thus, is highly uneconomical in a world of diminishing revenue. As also noted in your post and comments, at the same time, the DOJ refused to consider the request that member publishers be allowed to selectively withdraw digital rights from ASCAP and BMI. Publishers contend that the legacy consent decrees prevent “market rate” negotiations. But, that is a ruse. Publishers stand to gain great advantages from direct licensing – most notably, advances that won’t be shared with writers and attendant ways to weaken overall royalty flow-through payments to writers. Most importantly, direct licensing will not increase royalty rates in any meaningful way. The streaming deals are structured as percentages. As such, the deals have the immutable limitation that there is never more than 100% to give away. The streaming services are currently paying about 83% of revenue in content costs – which include 50% to the labels and 15% to the songs. They must also pay enormous overhead costs for technology and maintenance, and profits to the investors. Thus, at any given moment, there is a finite pot of money that any streaming service can pay out. The pot may increase with more subscribers or higher user rates, but that doesn’t change the relative content shares. Direct licensing cannot increase the finite pot– there’s little left to squeeze out of the services. 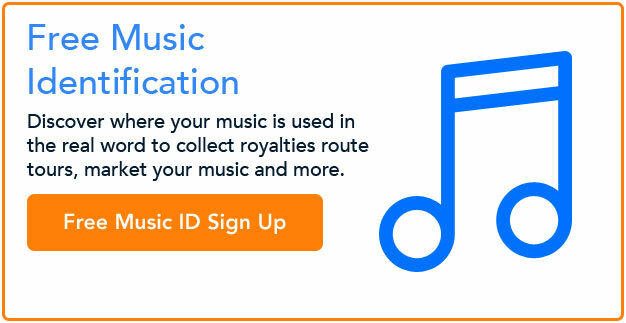 The only way for songs to attain royalty parity is for the labels to give back part of the royalty pool. But, as others have started to point out, the major labels and publishers are corporate sisters who serve the same corporate giant and its shareholders. Because the label side has substantially greater profit margins, there is no incentive at all to rebalance these percentages.